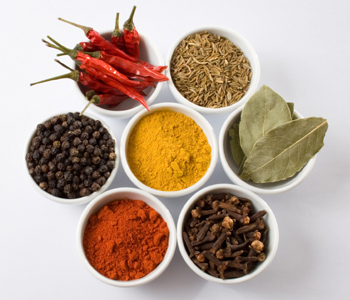 Breast Cancer Tip- Eat more Herbs and Spices! The use of herbs and spices dates back thousands of years. Traditional Chinese and Indian medicine ( Ayurveda ) both evolved more than 5000 years ago and focused on using herbs and spices for the prevention and cure of disease. Current research shows that breast cancer is four to five times lower in countries where large quantities of spices are eaten. A study published in The Medical Journal of Australia found that “culinary herbs and spices contain high concentrations of antioxidants and phytonutrients [plant-derived chemical compounds important to human health] and may provide long-term health benefits that even outweigh their short term taste sensations”. We should all include these wonderful and tasty ingredients in our daily diets. Stay tuned to learn which herbs and spices I recommend and are the best for you!